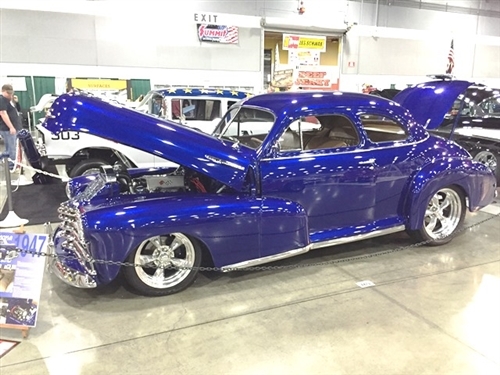 All 1941-1948 Chevy passengers cars use the same chassis. 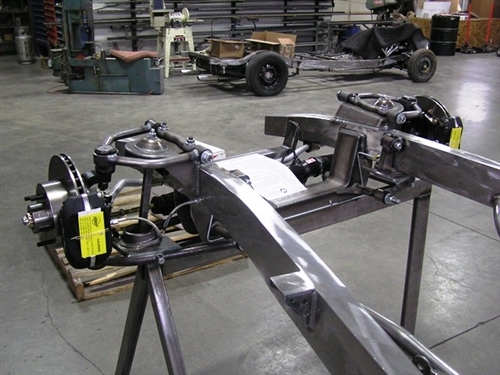 Ours is designed to be a near-perfect reproduction of the orignal in shape and size, but it is enhanced for added strength, safety, and comfort. 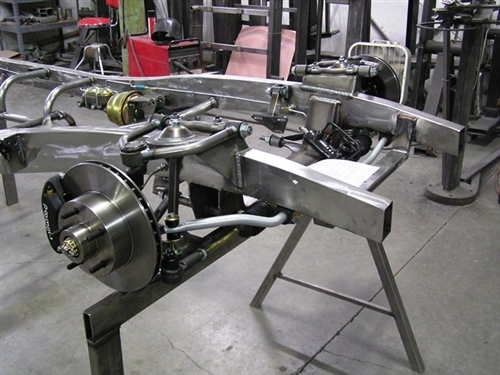 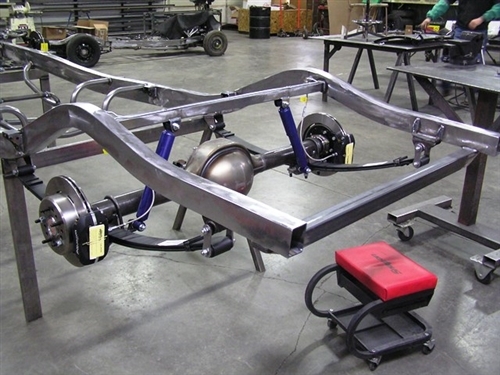 Unlike some other chassis on the market, we use 4-piece rails assembled in our fixtures to reproduce the exact curves and tapers of the original frame. 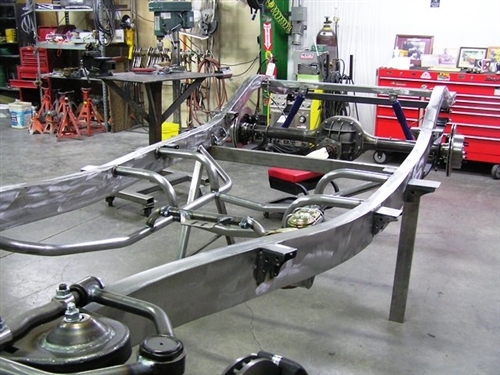 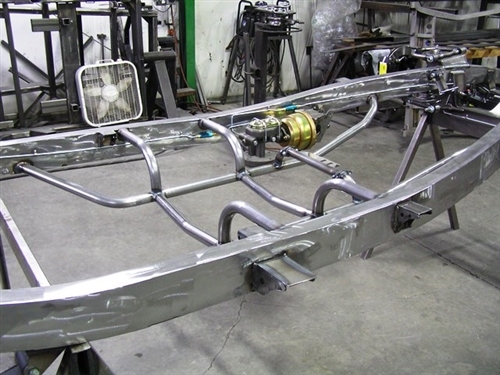 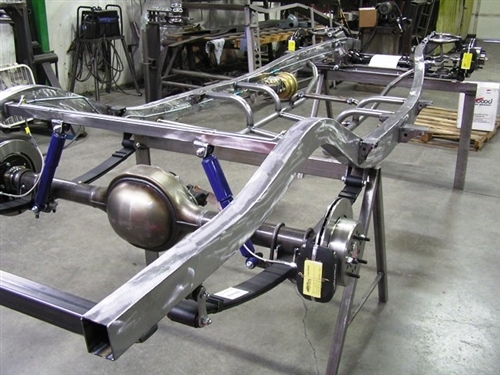 Each frame includes the 5 original body mounts on each side of the frame. 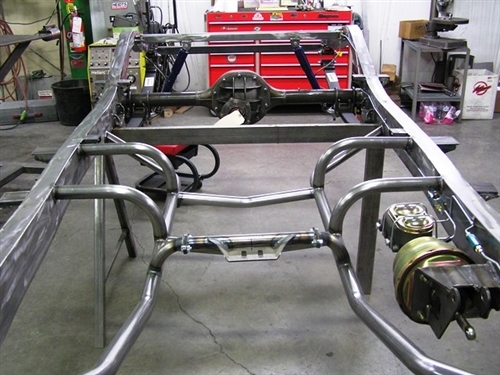 We have also eliminated the lip found at the bottom of this original frame design which is not only cleaner looking, but adds some additional tire clearance in the rear.